The black flag popularized by the murderous Islamic State has become the symbol of choice for members of Europe's Muslim communities protesting Israel's Gaza operation and expressing an unvarnished hatred of Jews. 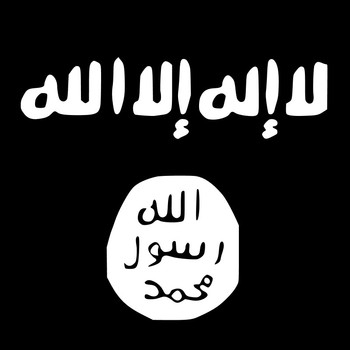 "Death to the Jews" chanted the crowd waving the black flags of the Islamic State, or ISIS as it used to be known. They were looking for new supporters for their cause, the creation of a worldwide caliphate answering to the man who now calls himself Ibrahim: a zealot too radical even for Al Qaeda who has stormed through Syria and Iraq carrying out mass executions, crucifying rivals, beheading enemies. But these marchers were not in Syria or Iraq; they were in The Hague in The Netherlands. And their message was one tailored to the disaffected young descendants of Muslim immigrants in Europe. "We are Moroccans," went out the cry over a portable loudspeaker. "The French killed the Moroccans but they didn't kill them all; the grandchildren of the few men left protest against the West, America and the Jews." Many of the demonstrators covered their faces with Palestinian scarves or balaclavas. "Anyone who doesn't jump is a Jew," someone shouted as the whole group started jumping in a scene that might have been ludicrous if it weren't for the hateful message. "Death to the Jews!" the crowd shouted in Arabic.